Designs are inspired by the original tiles which adorned the floors of abbeys and large houses across the UK from around the 13th to the 16th century. 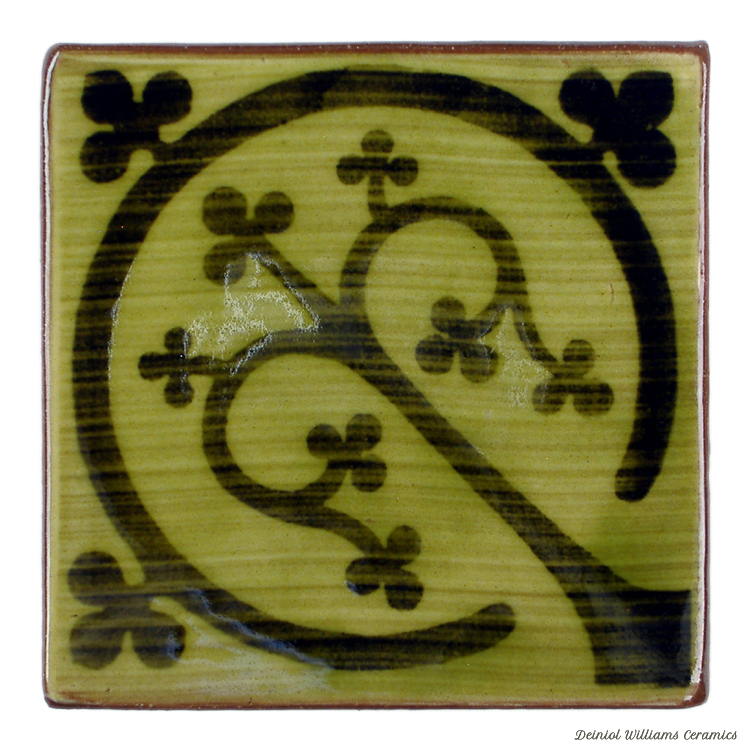 A lot of the original medieval tiles were made using the inlay technique, however, Deiniol's tiles utilise the more modern technique of screen-printing. The tiles are coated with traditional earthenware glazes and fired to earthenware to give them an authentic finish. If you are interested in finding out more on how medieval tiles were made you can read Deiniol's blog post HERE. Repeating patterns were very important in medieval tile work along with the sacred geometry found within the architectural construct of the abbeys. Geometry had a strong religious meaning as well as being a vital part in the building of Abbeys. It was through the understanding and use of geometry that these buildings could be built on such huge scales with no other way of measuring accurately. 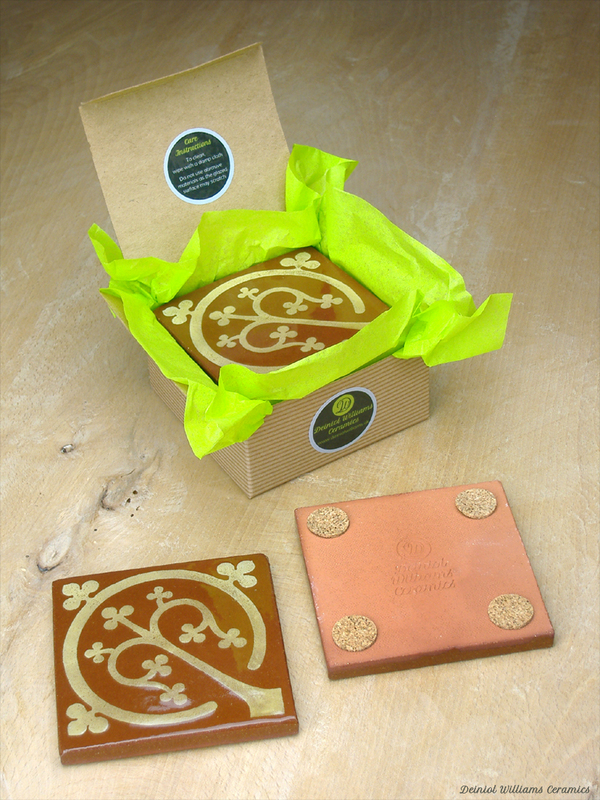 Tiles are fired to earthenware to reproduce the warm terracotta look and feel of the original medieval tiles. Due to tiles being fired to earthenware temperatures, they are more suited to kitchen walls or areas of low-footfall such as around fireplaces. A vast array of patterns can be produced by mixing and matching field (blank) and printed tiles with different glazes.